looks pretty good. cant see many reviews though. ive just bought one even though i dont need at the mo - pressie or a backup i guess. the Micro-sd expansion is a killer plus for me. not much else to say - seems a proper bargain. * Screen size 128 x 64. * Stores up to 4,000 tracks. * Rechargeable via USB port. * Size (H)8.6, (W)2.6, (D)1.1cm. * 2 colour OLED display. * Minimum PC specification: Microsoft Windows 98 SE, Windows ME, Windows 2000,Windows XP. CPU: Intel Pentium 3, Pentium 4 and other CPU with relevant functions. RAM: 64MB or above. Hard disk Space: 200MB idle memory or above. * Built-in rechargeable lithium battery. What capacity sd card does it go upto? im not certain but i *was* under the impression that micro sd cards are all pretty much the same as far as inner workings go. i.e. a 1gb and a 16gb are the same apart from the memory size. if the above is true then the largest microsd cards out are 16gb. true but i'd be very, very suprised if there was some kind of incompatibility. this is just a drag and drop player - like a normal usb memory stick. im not certain but i *was* under the impression that micro sd cards are … im not certain but i *was* under the impression that micro sd cards are all pretty much the same as far as inner workings go.i.e. 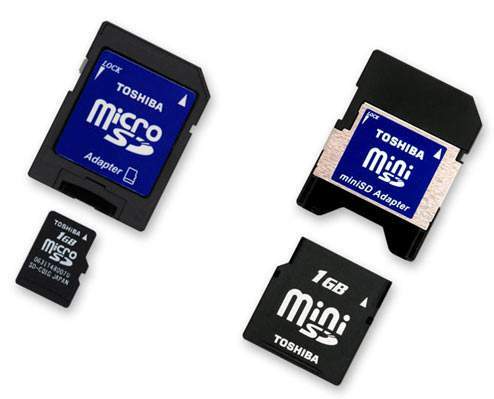 a 1gb and a 16gb are the same apart from the memory size.if the above is true then the largest microsd cards out are 16gb.can anyone confirm? Just what I was looking for... thanks!!! Voted hot, looks like a very good buy. Not bad price, but it is Bush. Still you wont get anything else at this price. If you've got SD cards lying about then probably makes sense to save a fiver and go for the 4 gig version instead. If you've got SD cards lying about then probably makes sense to save a … If you've got SD cards lying about then probably makes sense to save a fiver and go for the 4 gig version instead. an extra 4gig of internal space for a fiver seems a much better option than paying a fiver less for the lower capacity. Thanks I reserved the 4GB version. I had a 1GB shuffle but it literally broke yesterday, and this will be perfect. 4GB is more than enough for me, and I would have just got the 8GB otherwise! Thanks - reserved one of the 8gb versions locally. The bigger/better Bush with a screen doesn't state it, but the image shows a microphone icon on-screen, so wonder if Argos have just ignored those details. Bush website doesn't even carry the product. Can someone tell me how the free case works out?? Can someone tell me how the free case works out??Thanks.Rainey!! good luck finding stock though. Worth noting that the reviews say the menu system isn't great. Wow - you work for MI6? Most mp3 players like this are able to record - but I'll let someone who actually has it weigh in. For a tech savvy person like me, even a cheapest 8GB USB pen drive will cost around £12. So, its a best deal with free silicon case. I can use it for storing my data as well. I've now got mine (including the free case) and really pleased with it!! according to picture, it has a FM tuner as well. ...just right for the new car! Wife off to pick 'em up tomorrow. Does anyone know if you can plug this directly into a PC /!? how else would you put music on it? not sure i understand the question. when i saw oled display, I thought nice... But it is hardly a display. I'm pretty sure they mean if it can be plugged into the PC directly without the need for a USB cable. Some don't require one as the attachment is built into the unit, much like the Flip Cam does. It comes supplied with a USB cable to connect to your PC (so it doesn't plug directly into it). Or hows about these two, both with free leather case. I'm pretty sure they mean if it can be plugged into the PC directly … I'm pretty sure they mean if it can be plugged into the PC directly without the need for a USB cable. Some don't require one as the attachment is built into the unit, much like the Flip Cam does. neither of them seem to have a memory expansion slot, however. reserved...thanks . Have some heat! Had an email about this too, didn't know about the free case though, so thanks, reserved, hot! Reserved and collected. That's another christmas present bought. Nearly done all my Christmas shopping now.